A NUMBER OF detectives from the PSNI are currently in Mauritius to help with the ongoing investigation into the death of Michaela McAreavey. 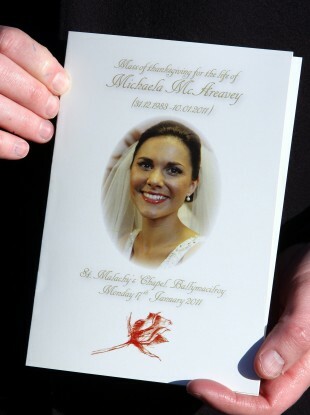 Michaela, who was the daughter of Tyrone football manager Mickey Harte, was strangled to death in January 2011 while on honeymoon with her husband John McAreavey. Two hotel workers – Sandip Moneea and Avinash Treebhoowoon – were subsequently charged with her murder, but were acquitted last year. Email “PSNI in Mauritius to assist in Michaela McAreavey investigation”. Feedback on “PSNI in Mauritius to assist in Michaela McAreavey investigation”.